The GrowerSELECT® Poultry Sprinkler System is a flexible management tool used to counter the negative effects of heat stress and improve poultry performance in tunnel ventilated barn systems. Different than standard fogging systems, poultry sprinkler systems help encourage movement, feed and water consumption, and increase bird comfort. Low-pressure sprinklers produce larger water droplets that drop straight to the floor. As the water droplets fall on the birds, they’re stimulated to stand up, releasing trapped heat underneath their bodies, and migrate toward feed and water. After the birds begin standing, excess heat is removed from the barn by the ventilation system and the lower humidity level in the barn allows birds to more efficiently cool themselves through natural respiration. The sprinkler system encourages birds to stand during periods of high temperature, releasing trapped heat underneath their bodies while promoting adequate feed and water consumption. Fogging systems are used in modern poultry barns to produce a lightweight mist that hangs in the air, absorbing and removing heat from the barn through evaporative cooling. Mist from fogging systems usually doesn’t stimulate the birds and is generally used to help lower ambient air temperature in the barn. Sprinkler systems produce a much larger water droplet that doesn’t hang in the air like mist. The droplets fall straight toward the floor and stimulate the birds to stand up when they feel water fall on them. As soon as they stand, the heat trapped between their bodies and the floor begins to dissipate and is removed by the ventilation system while the birds are also cooled by the fresh air being pulled through the barn. The GrowerSELECT Poultry Sprinkler Control Unit features programmable set points and operates on a three stage system to manage operation frequency and minimize heat stress in poultry barns. 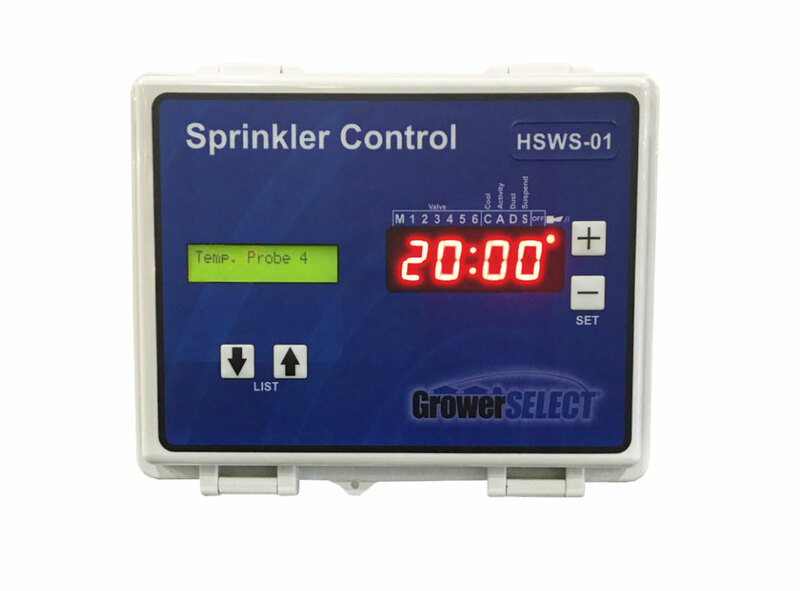 The GrowerSELECT® HSWS-01 sprinkler control unit is a programmable and automatically increases the run time and frequency of the system’s operation as needed based on temperature set points. 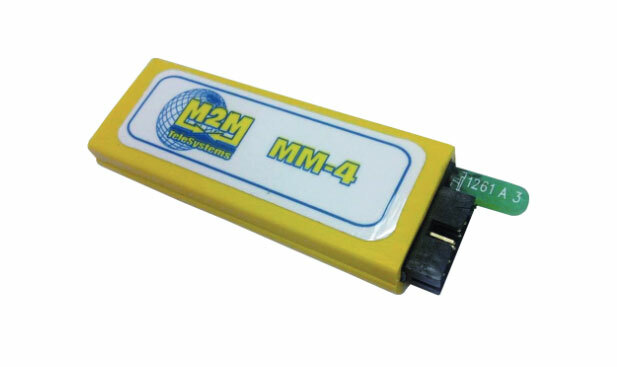 An available data plug allows settings from a controller to be stored and quickly replicated on other control units across the farm. The controller operates three different stages of cooling intervals based on the temperature inside the barn. When barn temperature increases and the building enters tunnel mode, the sprinkler’s first stage of cooling is activated 2 degrees over the set point. In stage one, the sprinkler system runs for 10 seconds every 30 minutes until the barn temperature has dropped below the target level. At 5 degrees above the set point, the sprinkler control enters stage two, operating for 20 seconds every 15 minutes until the building temperature falls to stage one levels. 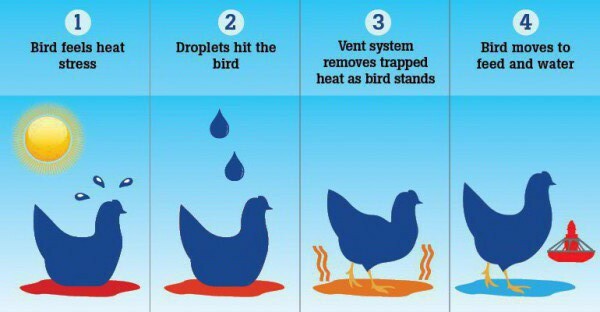 In stage two, trapped heat is released more often and the additional water droplets begin to create some evaporative cooling effect on the birds. At 8 degrees above the tunnel mode set point, the sprinkler control enters stage three; increasing the run time to 20 seconds every 7 minutes. Target wind speeds in stage three should be at least 600 feet per minute, creating wind chill and evaporative cooling on the birds, minimizing any felt heat stress during the hottest periods of the day. Sprinkler drop assemblies operate under low-pressure and produce large water droplets that stimulate poultry to stand and release trapped heat underneath their bodies. The GrowerSELECT sprinkler control is available as a stand-alone unit, or in packages designed to cover barns 50’ or wider and lengths from 400’ to 660’. Sprinkler packages come complete with a control unit, distribution manifold, two sensors and enough sprinkler drops (22” length) to cover the barn’s floor surface area. 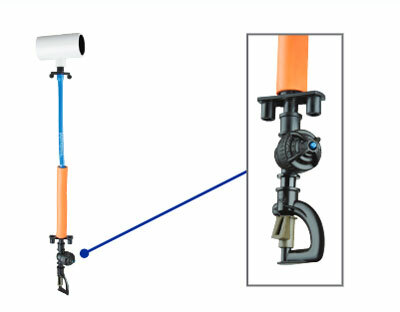 GrowerSELECT sprinkler drop assemblies are available in 22” and 30” lengths. The low pressure (50 psi) rotating sprinkler assemblies cover approximately 450 square feet each and produce large water droplets that help stimulate poultry activity, releasing trapped heat between birds and litter. Each drop includes a sprinkler, drop tubing and a 3/4” x 1/8” PVC tee fitting. The poultry sprinkler system distributes water through the building from a centralized manifold system, available with 2 or 4 valves depending on installation size. 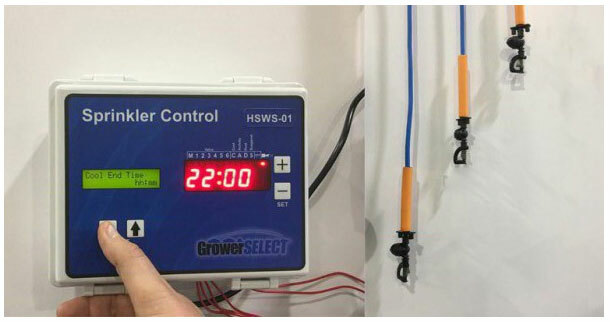 The GrowerSELECT sprinkler system control activates electronic solenoid valves on the manifold station to distribute incoming water to the sprinkler drops in the building. 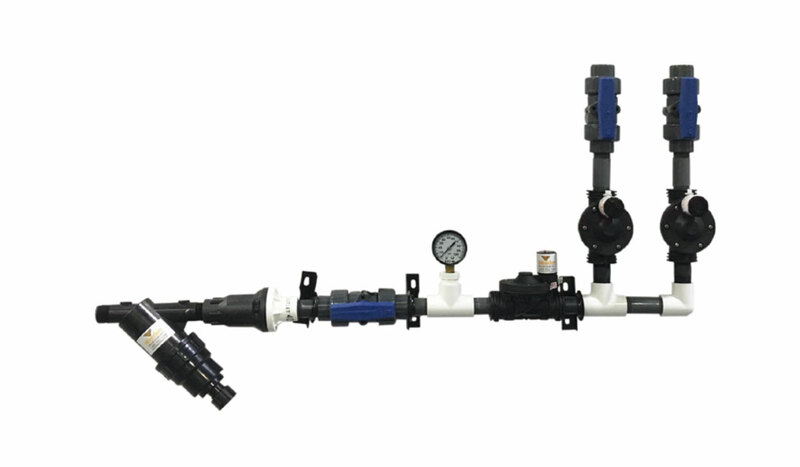 Manifold stations are available in 2 and 4 line options, depending on the amount of sprinkler drops used in a barn. Each manifold includes an in-line filter, manual supply shut- off valve, a pressure gauge and manual distribution output shut-off valves.